Home>Posts>Fitness, Sports Training, Training, Weightlifting>Training for Power: A Closer Look at the Process. 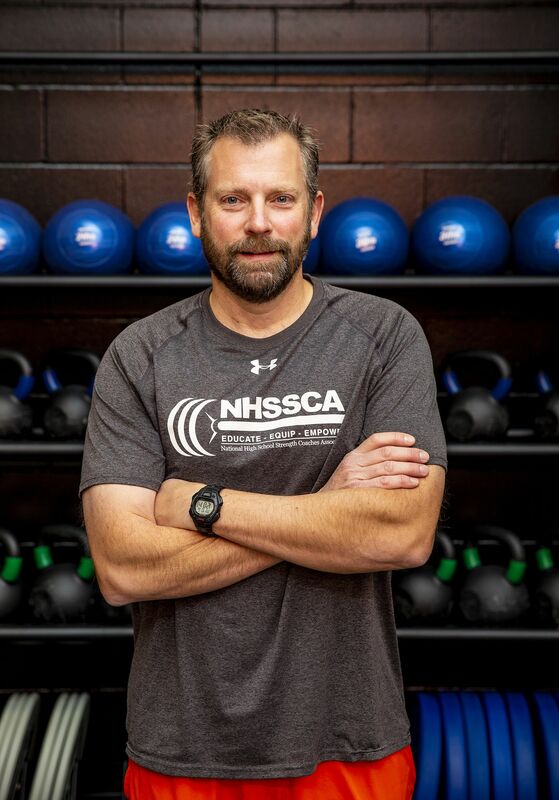 Training for power is usually one of the main goals for any strength & conditioning program. But what does that really mean? In its simplest terms, power = force x velocity (or in other terms, strength x speed). Applied to strength and conditioning, power is the amount of force you can transfer to an object, and how fast that object moves in response. 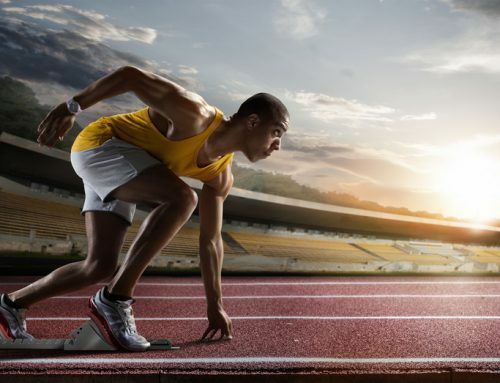 Let’s take a closer look at power, force, and velocity, and some key terms associated with training for power—starting with the Force-Velocity curve. The force-velocity curve is a graph that shows the relationship between force and velocity, or strength and speed. Force is represented by the vertical axis, and velocity is represented by the horizontal axis. There is an inverse relationship between the two, meaning as one increases, the other decreases. So think about moving a barbell and starting in the middle of the curve. If the weight increases, more strength is required to move it and it will move slower. If we shift in the opposite direction and decrease the weight, less strength is required and the barbell will move faster. Along this curve though, there are several different training zones. Maximum Speed: This is the fastest and lightest training zone. Weight used to train maximum speed will be at 25% of the athlete’s 1-rep max (1RM) or lighter. Using a device to measure speed, the athlete will be moving the weight at a rate of 1.3 meters per second or faster. Speed-Strength: This is still a relatively fast and light training zone. The weight will be 25-45% of the 1RM max and the speed will be 1.0-1.3 meters per second, which is still very fast. High velocity is still the main goal of this zone, but with a little more resistance added to the lift. Strength-Speed: This training zone uses a moderate weight, 45-65% of the athlete’s 1RM, moved as fast as possible. Bar speed will fall into the range of .75-1.0 meters per second. Accelerative Strength: This training zone is where the weights get heavy. The athlete lifts 65% to 90% of their 1-rep max. Be explosive while performing lifts in this zone. 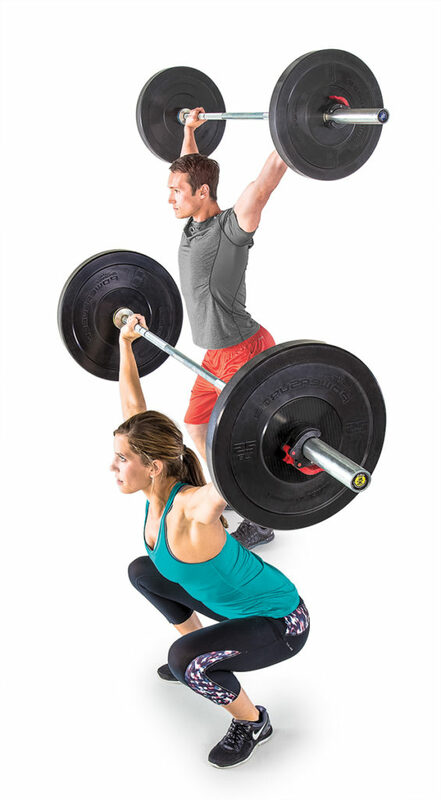 Olympic lifts and other explosive lifts like jump squats and hex bar jumps are performed in this zone. The bar will move at .5 to .75 meters per second. Maximum Strength: This is the heaviest and slowest training zone, and as a result of very high resistance. The athlete lifts 90-100% of their 1RM at a speed of .5 M/S or slower. This is the zone for traditional heavy max lifts like squats, deadlifts, and bench presses. Now through training, you can change the curve. By emphasizing heavy strength training, the curve will shift in one direction. Focusing more on bar speed will shift it the other way. Ideally, athletes will make improvements in both strength and speed, resulting in the entire curve shifting up and over. 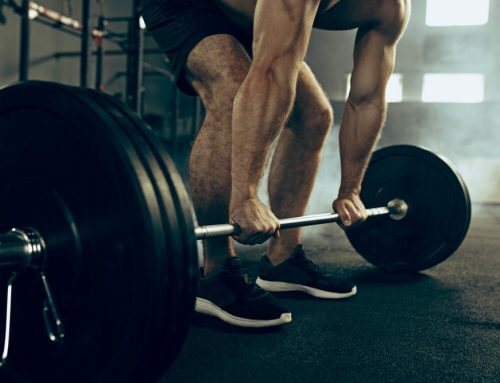 If you have a device for measuring velocity in the weight room, like a GymAware or a Tendo unit, you can get some very precise numbers and data on every single rep. Besides velocity, you also get force and power information, but it goes much deeper than that. For example, you will have average and peak numbers for all three variables as well as all kinds of other information and data points. When looking at these two options, there is often some confusion as to what they mean or which one you should be using. And the same goes for Average Power vs. Peak Power. Average velocity looks at the velocity for the entire rep from start to finish. Then it calculates the average speed across that range of motion. Average power is the same way. Peak velocity refers to the top speed the bar reached during the movement. Peak power then is the greatest amount of power than was generated during the rep. So which one should you be using, average or peak? It actually depends on the lift. In most cases, average velocity and average power will be the most useful metrics. Athletes want speed and power throughout the entire range of motion. For Olympics lifts, peak velocity or power is more beneficial. With the clean for example, the bar is initially moving vertically as the athlete starts the lift and moves to the pull. The bar then decelerates and actually moves back down toward the ground as the athletes drops underneath to catch it. It decelerates completely again and changes direction once more as the athletes front squats the bar up into the finishing position. Because of the multiple speed and direction changes that occur during each rep, finding and average of either velocity or power is basically useless. Peak velocity and power are much more reliable determiners of power during a rep.